Neural Networks provides a forum for developing and nurturing an international community of scholars and practitioners who are interested in all aspects of neural networks and related approaches to computational intelligence. Neural Networks welcomes high quality submissions that contribute to the full range of neural networks research, from behavioral and brain modeling, learning algorithms, through mathematical and computational analyses, to engineering and technological applications of systems that significantly use neural network concepts and techniques. This uniquely broad range facilitates the cross-fertilization of ideas between biological and technological studies, and helps to foster the development of the interdisciplinary community that is interested in biologically-inspired computational intelligence. Accordingly, Neural Networks editorial board represents experts in fields including psychology, neurobiology, computer science, engineering, mathematics, and physics. The journal publishes articles, letters and reviews, as well as letters to the editor, editorials, current events, software surveys, and patent information. Articles are published in one of five sections: Cognitive Science, Neuroscience, Learning Systems, Mathematical and Computational Analysis, Engineering and Applications. The journal is published twelve times a year. 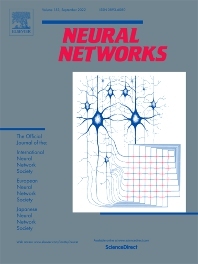 Neural Networks can be accessed electronically via Science Direct (http://www.sciencedirect.com/science/journal/08936080), which is used by over eight million individuals world-wide.